Shortly after 11am Lebanon time (5am ET), the bells began tolling at the Bkirki "conclave," with word emerging that Archbishop Beshara Rai of Jbeil, 71, had been elected head of the 3 million-member Maronite church, the Middle East's largest Catholic community. In a statement, President Michel Suleiman said that Rai made for "the best successor to the best predecessor" -- a reference to the retiring patriarch, 91 year-old Cardinal Nasrallah Sfeir -- while a former head of state praised the choice as "a man of unity." 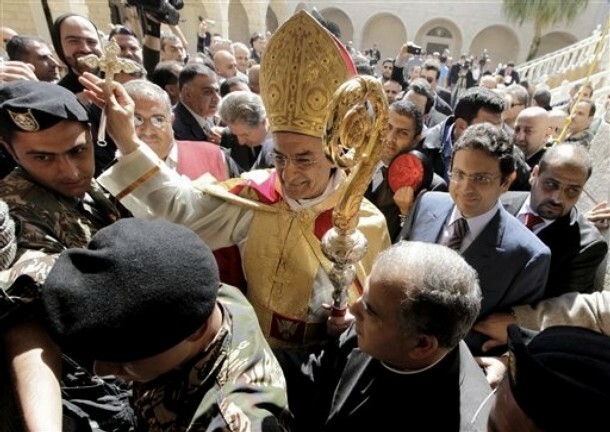 His name meaning "sponsor of the good news" in Arabic, the patriarch will be formally enthroned on 25 March.